Joseph T. Nabor has chaired the firm’s Trademark, Brands, and Copyright practice group since 1989. During that time, he has prosecuted thousands of domestic and foreign trademark applications, including renewals and affidavits of use. Joe’s practice comprises primarily trademark work—both prosecution and litigation, domestic as well as international—along with copyright and patent counseling. He has been extensively involved in the conduct of discovery, the negotiation of settlement, an extensive motion practice, as well as obtaining and defending against the issuance of injunctions. Joe has been the lead attorney in hundreds of oppositions before the Trademark Trial and Appeal Board (TTAB), in addition to directing oppositions and similar proceedings internationally. All manner of clients, from start-up companies to Fortune 100 leaders in numerous industries, have sought Joe’s counsel for sophisticated brand and portfolio development strategies. These transactions have included securing trademark rights throughout the world. Joe has also been involved in the acquisition of the intellectual property portfolios of many industry leaders. His clients rely on Joe’s practical approach, which starts with listening to the client to understand the desired outcome, then applying his experience and knowledge to best position the matter, while looking beyond just the legal perimeters to strategically reach the targeted goal. In the trademark and copyright prosecution area, Joe oversees all trademark and copyright applications filed through the firm. He has extensive experience in dealing with trademark-examining attorneys at the U.S. Patent and Trademark Office (USPTO) and with examining attorneys at the U.S. Copyright Office. Joe has led or participated in a number of ex parte appeals within the USPTO in which the trademark-examining attorneys have refused registration. In those appeals, many of which were argued by Joe before the TTAB, the findings of trademark-examining attorneys were reversed, and the TTAB directed registration of the marks. Joe has also conducted the review of hundreds of search reports regarding the availability of various trademarks on behalf of his clients. 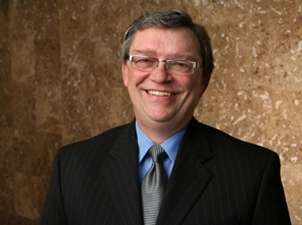 Prior to passing the bar in 1989, Joe worked at Fitch Even as a senior paralegal for ten years. DS Services of America, Inc., v. Ingles Markets, Incorporated, Premium Waters, Inc., and The Federated Group, Inc. (N.D. Ga. 2017). Defended the Federated Group in this matter that alleged trademark infringement. The case reached an early settlement with all parties during mediation. U.S. Hanger Design Center, Inc. v. Caliber Corporation (E.D.N.Y. 2016). Represented Caliber in this matter that challenged the rights of Caliber to a unique configuration trademark. Following service of the complaint, we initiated discussions with the counsel for Plaintiff, which resulted in the complaint being withdrawn before the Answer was due based on those discussions. Medefil, Inc. v. Messias Bassile (TTAB 2015). Represented Medefil in the enforcement of its trademark rights. Opposition was sustained on a default judgment resulting in the refusal of registration of the objectionable mark. CTIA – The Wireless Association v. Enterprise Products Integration (TTAB 2015). Represented CTIA in the enforcement of its trademark rights. Opposition was sustained on a default judgment resulting in the refusal of registration of the objectionable mark. Nature Delivered Ltd. v. The Purington Beverage Company, LLC (TTAB 2015). Represented Nature Delivered in the enforcement of its trademark rights. Opposition was sustained on a default judgment resulting in the refusal of registration of the objectionable mark. Bullets2Bandages, LLC v. Caliber Corporation (S.D. Cal. 2014). Represented Caliber in defense of a trademark infringement action. Case was settled in six months with Caliber taking assignment of the registered trademarks. The Federated Group, Inc. v. Forefront Enterprises, LLC (TTAB 2014). Represented The Federated Group in opposition to registration for RED & WHITE and negotiated settlement resulting in express limitations on the applicant’s use of its mark. The Chamberlain Group v. VBN Sales LLC (TTAB 2013). Represented Chamberlain in this opposition to the mark Lockmaster. Successfully resulted in the applicant expressly withdrawing the application. The Federated Group, Inc. v. Meals to Live, Inc. and QS Holdings, Inc. (TTAB 2013). Represented The Federated Group in this opposition to registration of the mark Quick Sticks. A settlement was obtained that resulted in a limiting amendment to the application and an express limitation on the use of the mark by the applicant. Body & Soul Ministries, Inc. v. Martha Stewart Living Omnimedia, Inc. (TTAB 2012). Represented Body & Soul Ministries in opposition to BODY & SOUL and negotiated on behalf of our client to obtain withdrawal of application by applicant. The Chamberlain Group, Inc. v. Lynx Industries, Inc. (TTAB 2012). Case involved three oppositions that were consolidated into one proceeding. Represented Chamberlain in the earlier U.S. case and was intrinsically involved in the subsequent Canadian opposition and appeal. Case went to trial before the USPTO Trademark Trial and Appeal Board. The client prevailed, and registration was refused in all three cases. Joe has regularly spoken on trademark and copyright topics at Chicago Bar Association programs since 1996. “Getting and Protecting Intellectual Property Rights Outside the U.S.: A Morass,” Chicago Bar Association and the Science Fiction and Fantasy Writers of America, Chicago, May 13, 2016. “Budget Management of Internal Operations,” IP Budget Best Practices Forum, Dennemeyer Group, Chicago, April 13, 2016. Guest Lecturer, Internet Applications in Business course, University of Illinois at Chicago, Department of Information and Decision Sciences, December 2, 2015. “Mining Data and Privacy: A Primer,” Illinois State Bar Association Intellectual Property Section, Chicago, September 10, 2015. “Protecting and Preserving Author Rights in Today's Market—and After Death: Contracts, Digital Publishing & Literary Estates,” Illinois State Bar Association Intellectual Property Law Section and Trusts & Estates Section and the Science Fiction Writers of America, Chicago, June 5, 2015. “A Day in the Life of an IP(LAC) Attorney,” IIT Chicago-Kent College of Law, November 21, 2014. “The Perfect Partnership Between Attorneys and Paralegals,” Illinois Paralegal Association's 2014 Fall Education Conference, November 20, 2014. “Mock Trial of the Future,” Federation Internationale Des Consels en Propriete Intellectuelle (FICPI), Open Forum in Barcelona, Spain, November 7, 2014 (Moderator). "Working Trademarks into the M&A Process: Tips for Spotting Issues and Working Collaboratively in a High-Pressure, Short-Deadline World,” International Trademark Association (INTA) Annual Meeting, Hong Kong, May 13, 2014 (Moderator). “Perfect Partnership Between Attorneys and Paralegals,” Paralegal Committee of the Intellectual Property Law Association of Chicago (IPLAC), April 25, 2014. “A Day in the Life of an IP(LAC) Attorney—And How to Get There,” IIT Chicago-Kent College of Law, November 15, 2012. “A Day in the Life of an IP(LAC) Attorney—And How to Get There,” Loyola University Chicago School of Law, October 29, 2012. “What Every Lawyer Should Know About Intellectual Property,” Illinois State Bar Association Intellectual Property Section, October 29, 2012. “Seven Deadly Intellectual Property Sins and How to Avoid Them,” Techweek 2012 Conference + Expo, Chicago, June 28, 2012. “Trademark Protection and Social Media,” International Trademark Association 2012 Annual Meeting, Washington, D.C., April 27, 2012 (Moderator). “Trademark Protection Strategies in Social Media,” Fitch Even Webinar, April 25, 2012. “Protecting Your Intellectual Property Globally,” International Trade Association of Greater Chicago with the Alliance for Illinois Manufacturing/NORBIC and the Chicago Intellectual Property Alliance, October 24, 2011. “Trademark Protection Strategies in Social Media,” International Trademark Association 2011 Annual Meeting, San Francisco, May 17, 2011 (Moderator). "A Primer on Trademark Office Actions," Illinois State Bar Association Intellectual Property Section, Chicago, May 10, 2011. “Learn the Secrets of Beating Your Competition by Protecting Your Business Assets Globally,” Chicago Intellectual Property Alliance and the Alliance for Illinois Manufacturing/NORBIC, Chicago, June 23, 2010 (Moderator). “Hot Topics in Intellectual Property Counseling: From Start-up to Initial Public Offering,” Illinois State Bar Association, Chicago, April 28, 2010 (Moderator). “Rambus is Final: Where Do We Go From Here?,” Illinois State Bar Association, Chicago, September 11, 2010 (Moderator). “Intellectual Property Essentials and IP on the Internet,” Illinois State Bar Association, Chicago, June 9, 2009 (Moderator). “Basics of Trade Secret Law,” Illinois State Bar Association, Chicago, June 9, 2009. “Ethical Issues in Intellectual Property Representation,” Illinois State Bar Association, Chicago, June 9, 2009. “TTAB Practice: Tips, Tricks and Pitfalls Encountered Along the Way,” American Intellectual Property Law Association Annual Meeting, Washington, D.C., October 24, 2008 (Moderator). “The Trademarks Practitioner An Advanced Course” and “U.S. and Canadian Trade Mark Prosecution Practice: A Comparative Analysis,” Intellectual Property Institute of Canada / McGill University, Montreal, Canada, 2001–08. “Trademark Dilution: New Angles After the Trademark Dilution Revision Act of 2006 and Why You Should Care,” American Intellectual Property Law Association, Washington, D.C., March 9, 2007. “What Every Lawyer Should Know About Intellectual Property,” Illinois State Bar Association, Bloomington, Ill., January 6, 2006. “What Every Lawyer Should Know About Intellectual Property,” Illinois State Bar Association, Chicago, January 27, 2006. “Intellectual Property and the Classroom: Reading, Writing Arithmetic and Litigation in the Internet Age,” Illinois State Bar Association, Chicago, March 5, 2004. “Intellectual Property for Innovation,” with Steven G. Parmelee, in Global Innovation Science Handbook (New York: McGraw Hill, 2014). “Trademark Law Treaty Implementation Act of 1998,” ISBA Intellectual Property newsletter, Vol. 39, No. 1, November 1999. “Trademark Prosecution” in Antitrust and Unfair Competition (Ill. Inst. for CLE, 1998).